INDUSTRY.co.id - The school holidays that fell in unison with Lebaran this time to make the child's holiday period becomes longer. But did you know that this long holiday period is a valuable and important time to be utilized optimally? So it becomes important for parents to choose a variety of educational activities to fill the child's holiday. 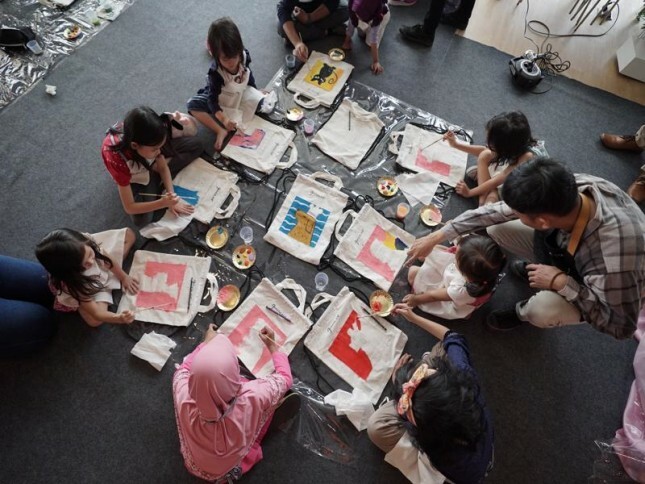 On June 30, Shopee held a second edition of BincangShopee titled "The Importance of Educational Activities for Filling a Children's Holiday". This is a Shopee monthly event as a forum for users and the public to share knowledge and solutions. During the event that was attended by more than 100 participants consisting of parents and children, Ratih Ibrahim as Psychologist and Founder of Personal Growth shared about the reasons behind the importance of using vacation time. "The launch of BincangShopee is in line with our ongoing commitment to educate and improve the lives of users and the Indonesian community as a whole. We want to provide a container for our users in order to get information that is relevant to everyday life to provide new solutions and knowledge of users. Therefore, we are working to prepare a variety of different topics at every BincangShopee event. Until now, we have received a very positive enthusiasm, and we invite users to not miss and follow the next BincangShopee event, "said Rezki Yanuar, Country Brand Manager, Shopee Indonesia. When filling a long school vacation time, it becomes important for parents to plan a variety of quality activities to build emotional attachment, rather than allowing little to spend the rest of her vacation time playing the gadget. Often encountered some obstacles faced by parents, such as children who tend to spend more time playing the gadget, while parents are confused to find ideas that fit the activities of their children, but want children to remain productive. According to Ratih, all physical activity can provide stimulation to provoke a response that can train the growth of brain. Especially because it can develop some aspects of children's intelligence, including psychomotor, cognitive, emotional, and psychosocial aspects. "Most importantly, the activities held by parents provide stimulation to complement the life skills provided at school. This is important in the process of character formation of children, "said Ratih. Invite your Little one to draw with his fingers with natural ingredients in your kitchen. Just use the starch flour and food coloring available, and let the Little be creative while realizing his imagination. Through this activity, you will practice fine motor skills (sensori-motor), creativity, cognitive (by knowing the shape and color), also train empathy and communications in groups. If your little one likes to be creative with folding paper, you can invite her to create a child's self-portrait paper doll from easily searchable materials. You only need paper folding (origami), ice cream sticks, mattress yarn, glue, scissors, and buttons and beads as a sweetener paper doll to be made. This activity will train children fine motor skills, develop imagination and creation, and teach children to pour ideas in concrete form. In addition, children can also learn to understand themselves, build self-confidence, and build a positive self-concept. Take your little one around the city while introducing the variety of public transportation available in your city. In addition to introducing public transportation, you can also bring your Little to travel to attractions such as museums, city parks, or libraries available around your residence. To make your walk with your little one more memorable, prepare an exercise that includes the things that can be found on the road or at the destination. Little can be asked to show it to you when it finds it on the road. As an alternative to the above activities, you can also use educational toys for your child. For example, ELC Indonesia provides a variety of toys such as Drawing Activity Set - for the Little hobbyist drawing, Keyboom Board - for the Little who likes to play music, Wooden Easel - which can be used as the first canvas for the Little, Storytelling Card and "I want to be ... "Puzzles - which can train the creativity of the Little One. In order for activities with the little one with exciting, find a variety of educational toys only at Shopee. In addition, get exciting promotions for educational toys from ELC at Shopee and all ELC stores.